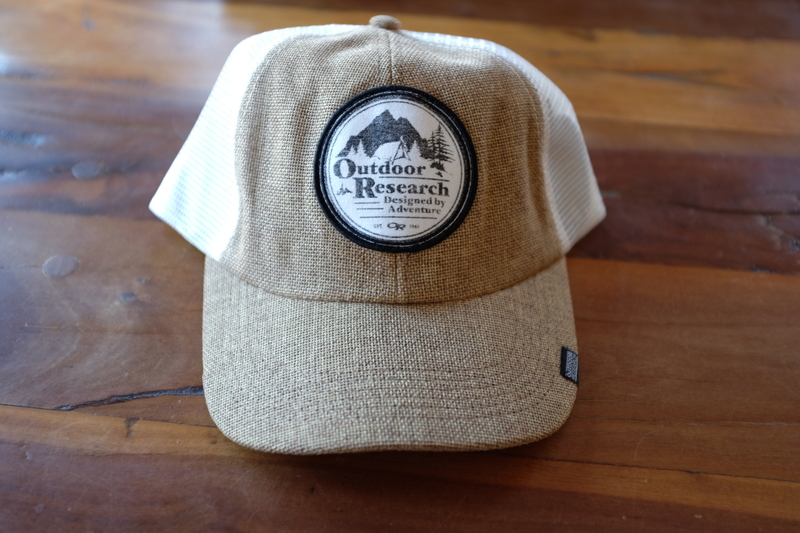 Fringe’s Folly + Outdoor Research Gear Contest! Fringe’s Folly is excited to announce our very first gear contest! Last year, I found myself with the opportunity to do some posts for Outdoor Research’s awesome Verticulture blog. In return for the blog posts, I received some generous store credit to use on their line of incredible products. Since OR was so generous with me, I thought I’d try to pass on some of the love to all of the Fringe’s Followers out there. 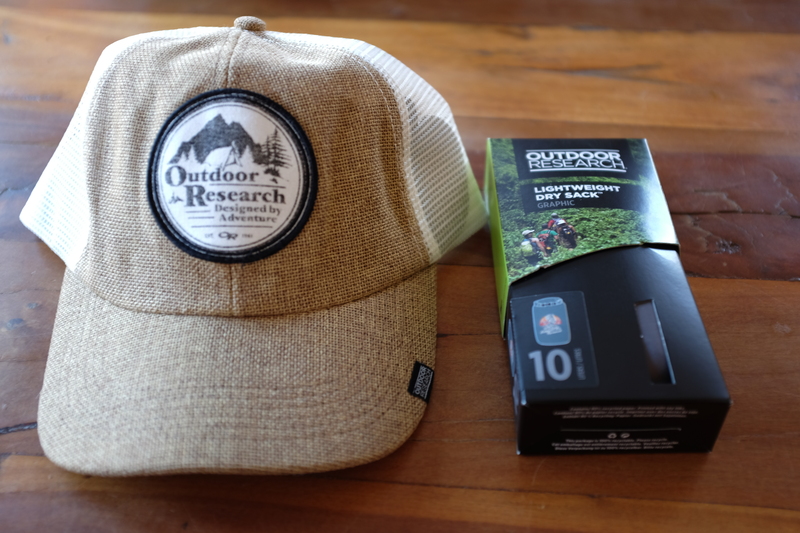 So here it is, our very first Fringe’s Folly Gear Contest, featuring Outdoor Research! 1.) 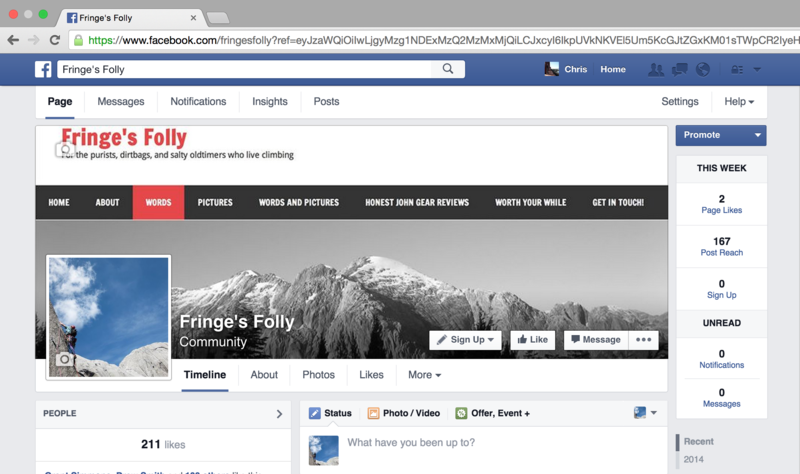 If you haven’t already, “Like” Fringe’s Folly on Facebook. 2.) 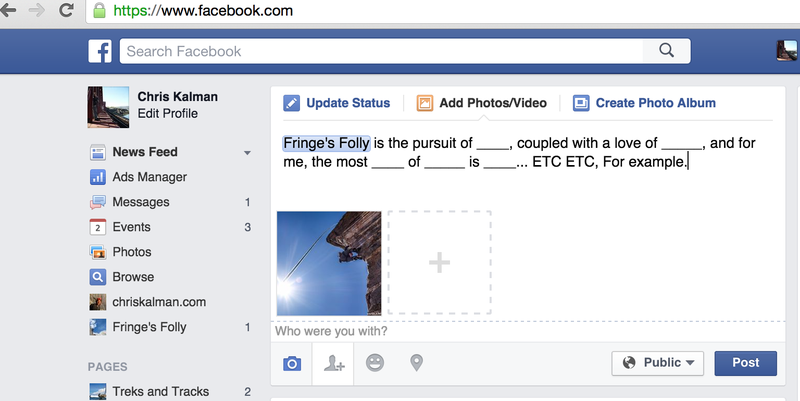 On your own Facebook page, add a Photo, tag Fringe’s Folly in it, and in the text box write a description of what Fringe’s Folly means to you. 3. Share your photo with friends, through your own social media, however you’d like! The winners will be the 3 photos that receive the most “likes” by the end of the contest date: Sunday March 8th, at 8:00 PM PST. Third Place will win: One Big Rig Trucker Hat (one size fits all)! Second Place will win: One Big Rig Trucker Hat (one size fits all), and one 10Liter Lightweight Drysack!! 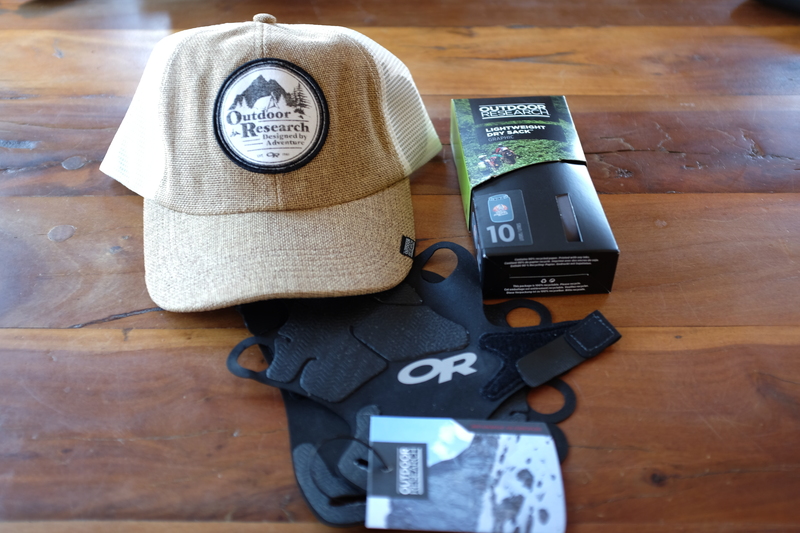 First Place will win: One Big Rig Trucker Hat (one size fits all), one 10Liter Lightweight Drysack, and one pair of Outdoor Research’s Awesome Crack Gloves (say byebye to tape gloves and back-of-the-hand gobies…)!!! Winners will be announced by Tuesday, March 10th.